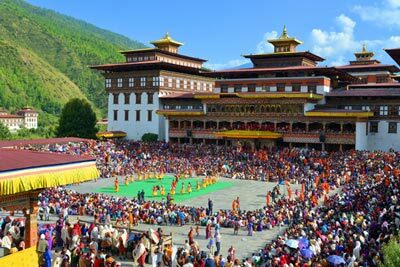 ....The textile industry is an integral part of Bhutanese life and ....culture. As such the art of weaving is widely practiced. ....Women of eastern Bhutan are skilled at weaving and some of ....the most highly prized textiles are woven by them. In the ....past, textiles were paid .as a .form of tax to the government ....in place of cash .and people from .western Bhutan travelled all ....the way to Samdrup Jongkhar to acquire/barter for woven ....textiles. Bhutanese textiles are woven from cotton, raw cotton ....and silk with intricate motifs woven into the cloth. ....Khoma village in Lhuentse is famous for Kushithara, while ....Radhi and Bidung are known for bura textiles, namely Mentsi Matha and Aikapur. 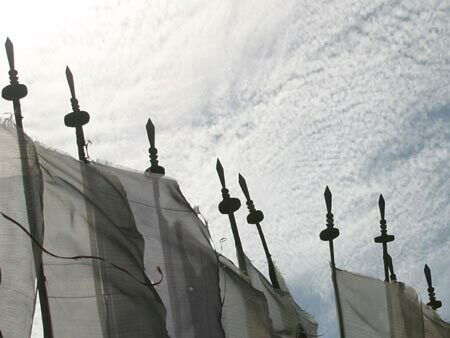 One type of cotton fabric woven in Pemagatshel is the Dungsam Kamtham. Which lends its name to the village Decheling (Samdrup Jongkhar)Adang village in Wangdue Phodrang is known for textiles such as Adang Mathra, Adang Rachu and Adang Khamar while the Bumthaps in central Bhutan are known for Bumthap Mathra and Yathra, both textiles woven out of Yak hair and sheep wool. It’s interesting to note that the people of Nabji and Korphu in Trongsa are known for textiles woven out of nettle fibers. Weaving is also a vocation amongst the Brokpas of Merak and Sakteng. ....Most of the forests in Bhutan are richly stocked with bamboos ....and canes of various species. 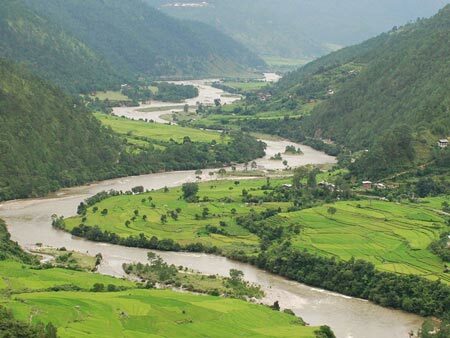 Taking advantage of these ....abundant natural resources, the .Bhutanese people have ....mastered the skill of weaving cane and bamboo products. ....Widely known .as Tshar Zo, this art is spread throughout the ....country and products such.as baskets, winnowers, .mats, ....containers known as Palangs and bangchungs are all made. ....The people of Kangpara in eastern Bhutan and the Bjokaps of ....Central Bhutan are the pioneer’s and masters of this craft. Their ....products are now sold to tourists earning them additional ....income and keeping this craft alive. ....The art of wood turning is known as Shag-Zo and is traditionally ....practiced by the people of Trashiyangtse in eastern Bhutan. ....The master craftsmen of this vibrant art are known as Shag ....Zopa. They are famed for the wooden cups and bowls ....traditionally known as dapas and phobs. These wooden bowls ....are made of special wooden knots known as Zaa and are highly ....valued. Until the advent of steel and brass, these bowls were ....widely used by the Bhutanese. Today they are typically sold at ....craft markets and offered as gifts. Khengkhar is a small village in eastern Bhutan where the villagers are well known for producing traditional wooden wine containers known as Jandup. ....Bhutanese paintings are quintessential of the arts and crafts ....tradition known as Lha-zo. ....An ancient art that has been practiced since antiquity, ....paintings captures the imagery of the Bhutanese landscape. 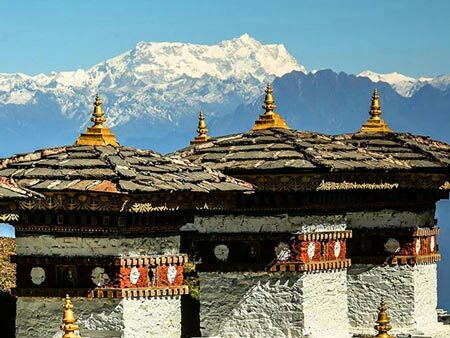 ....Master painters are known as Lha Rips and their work is ....apparent in every architectural piece from the massive Dzongs ....to glorious temples and spiritual monasteries and even in ....modest Bhutanese homes. 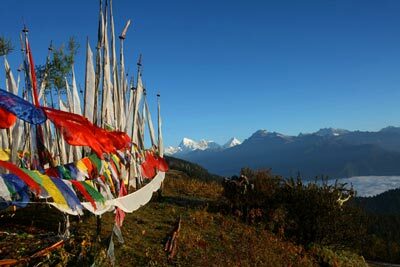 ....Paintings and their varied colors and hues epitomize the ....Bhutanese art and craft. A perfect example of this art form are ....the massive thongdrols or thangkas, huge scrolls depicting ....religious figures that are displayed during annual religious ....festivals. The mere sight of these enormous scrolls is believed to cleanse the viewer of his sins and bring him closer to attaining nirvana. Thus, it brings merit not only to the believers but for the painters as well. Young novices are taught by the master Lha Rips. 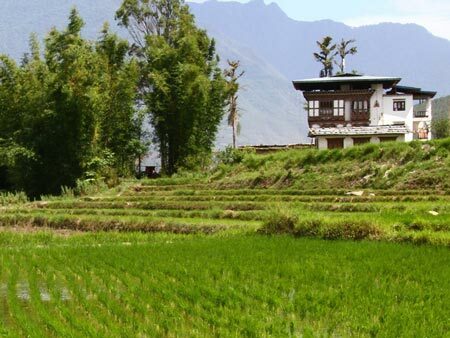 The materials used in Bhutanese paint are the natural pigmented soils that are found throughout the country. These natural soil pigments are of different colours and are named accordingly. The black lumps of soil is known as ‘sa na’, and red lumps as ‘Tsag sa’, for instance. 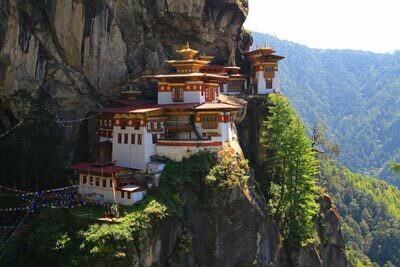 ....Shing-zo or carpentry plays a major part in the construction of ....Bhutan’s majestic fortresses or dzongs, temples, houses, palaces ....and bridges. ....Do zo is the ancient craft of masonry, a trade which is still ....practiced today. 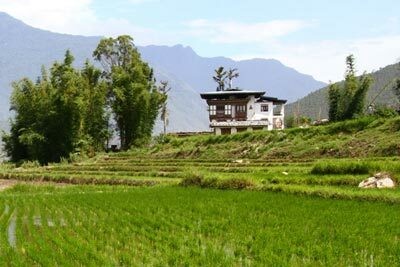 ....In Bhutan, temples, Dzongs, Chortens (or stupas) and ....farm.-..houses are all constructed using stone. Classic examples ....of stone work are those of Chorten Kora in Tashiyangtse in ....eastern Bhutan and Chendebji chorten in central Bhutan.